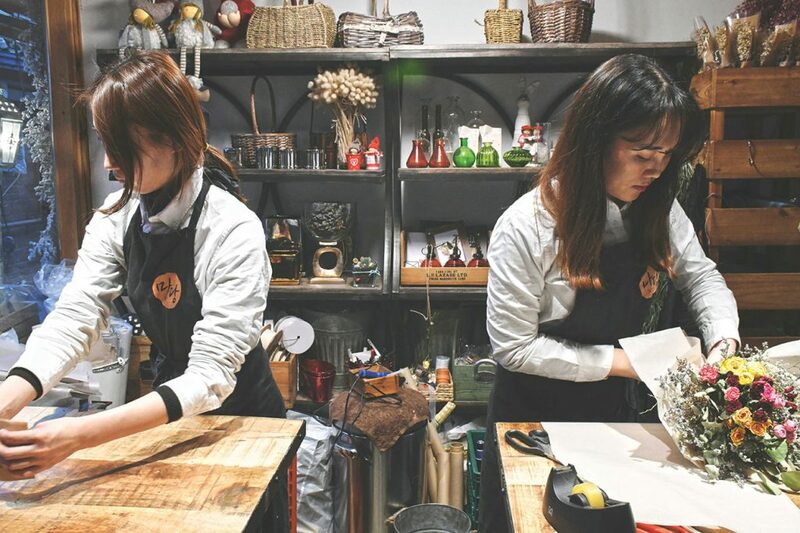 A couple of years ago, a few young artists, fashion designers and those looking to turn their passion into a profession opened their first shops and restaurants in Seoul’s Ikseon-dong district. The largely residential neighborhood is home to a large collection of old, Korean tiled roof homes, or hanok, most of which were built in the early 20th century. Today, the neighborhood boasts vintage shops, hip cafes and artist galleries. The only question that remains is: How long will Ikseon-dong be able to resist the commercial boom other iconic Seoul areas fell victim to? 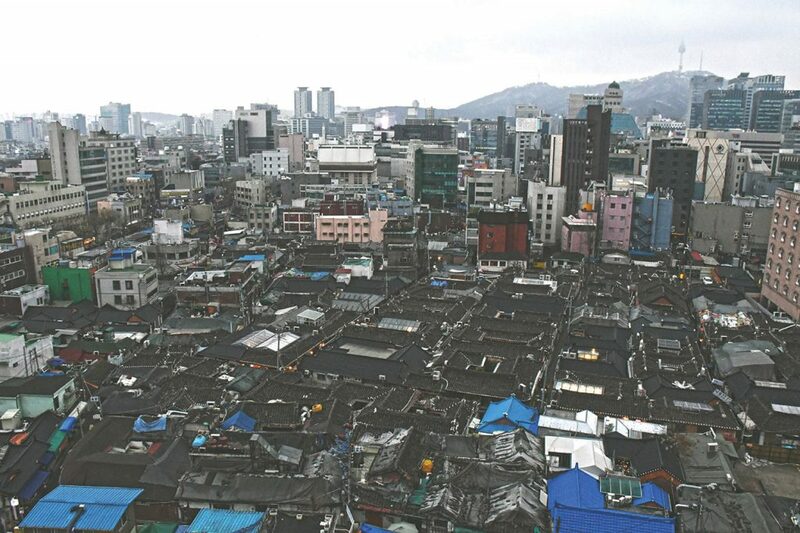 The small hanok area is surrounded by tall high-rises, giving it the illusion of being its own small island in the middle of a sea of concrete structures. Wandering down Ikseon-dong’s narrow alleyways, you almost forget that you are in Seoul, one of the most bustling and hectic places in the world. Ikseon-dong is anything but hectic. As soon as you set foot on the island of hanok houses, you enter a portal transporting you back in time. And time surely passes by slower here. After the Korean War, Ikseon-dong was home to a lively community, but by the early 2000s, the area was more or less dead and forgotten. When plans for demolishing the area were put forth by the city in 2004, its residents and many other locals raised their voices and fought to preserve this historic area. 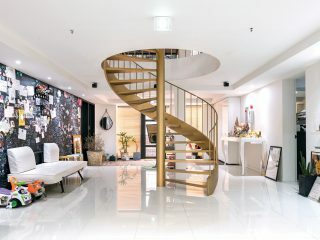 That’s when young creatives, who saw an opportunity to create a quiet and inspiring space, joined Ikseon-dong’s elderly residents and opened up a few shops. However, what started out with a handful of cafés and shops is slowly but surely increasing to something more – and not everyone approves. In the past few years, many more restaurants and cafés have opened in Ikseon-dong, but two hands are still enough to count them all. Sikmul, literally translating to “plant,” was the first place to open its doors and usher in the “new Ikseon-dong,” only a few years back. 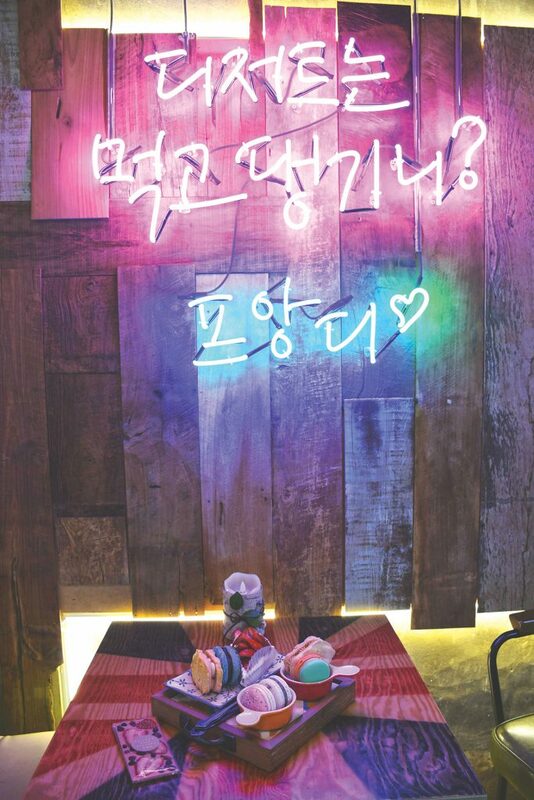 In fact, the café/bar opened by Korean fashion photographer Louis Park has become a household name in Seoul that even made it into the Korean edition of Vogue. No wonder, as the Korean roofs and retro furniture paired with classy drinks make for the ideal afternoon hangout or night-out location. Park’s belief that “architecture should communicate” has drawn more fellow artists and creatives to Ikseon-dong ever since. Among some of the newer locations in Ikseon-dong is Kim Gyeong Min’s Amateur Atelier Gallery, Cafe and Pub. He quit his business consulting job to follow his true passion: art and coffee. 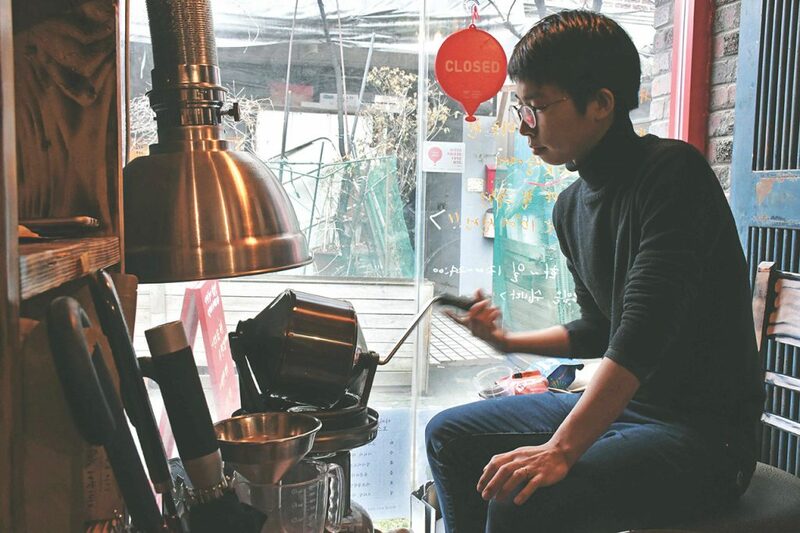 “I got tired of working as a business consultant,” he says, “We work seven days and we don’t have any break.” Today, he spends most of his time at his café grinding coffee beans of different varieties. In just under half a year, Kim has become a popular place for artists who find inspiration in his atelier café. 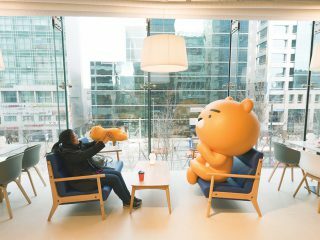 There are four specially designated areas in his space: an art room, a study room, a photography room and a chill-out area. When he first started out, he displayed his own paintings, drawings and photography, but today, he carefully selects pieces by local up-and-coming artists to give them exposure and assist them in selling their artworks. An oldie but goodie, the Korean traditional teahouse Tteuran, which opened in 2009, has gained popularity among Japanese tourists due to its appearance in the Korean-Japanese movie “Café Seoul.” Named after the lovely “inner garden” inside the 80-year old hanok structure, Tteuran still remains one of the most beautiful locations in Ikseon-dong. 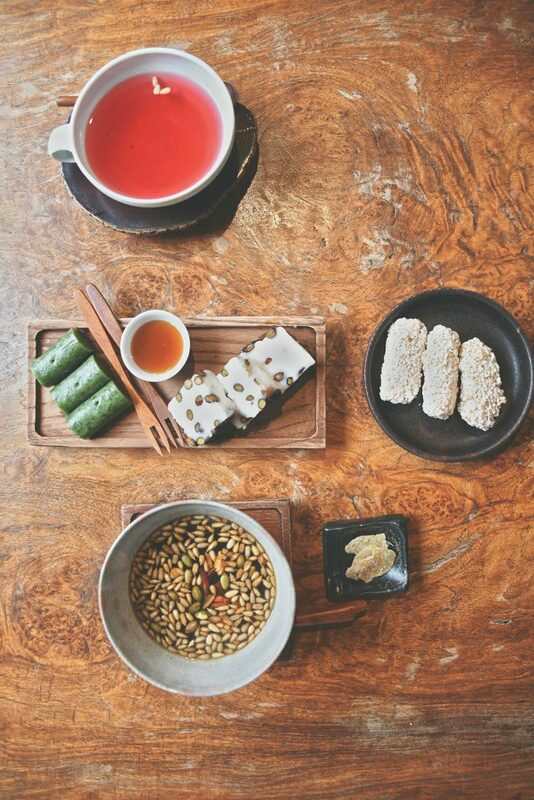 Be sure to try its homemade omija tea or one of its handmade medicinal teas, along with traditional rice cakes of all kind. “I happened upon this alleyway six years ago. 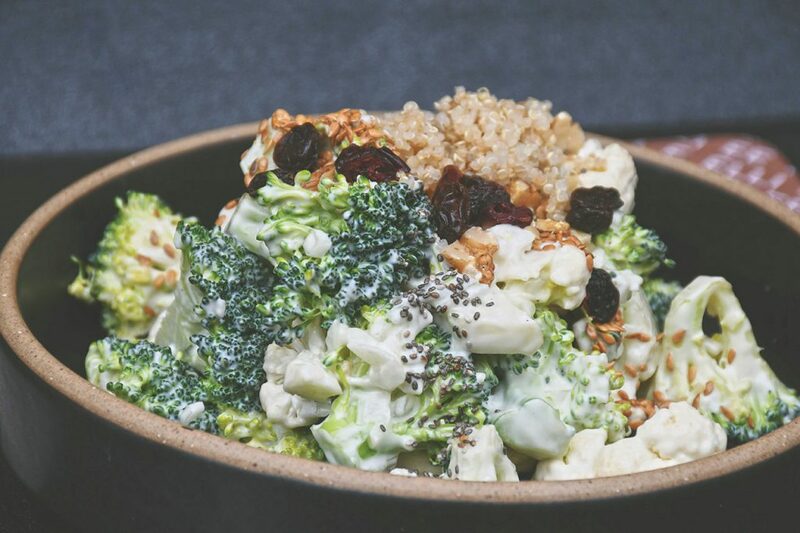 I was charmed by the color of the old roof tiles and signed a contract for this place right there without much of a plan,” says Kim Aeran, the owner of the trendy teahouse. She, and many others in the area, are part of the forum to protect Ikseon-dong from becoming too commercialized. Anyone in favor of conscious consumption will enjoy shopping in Ikseon-dong. Little sister to “Lomi Vintage” in Hongdae, one of the most popular places in the area is Vintage Bonnie, selling quirky items from the 1920s to 1980s. Whether you are looking to buy an addition to your Cabbage Patch Kids collection, or simply want to acquire a hip hair accessory, Vintage Bonnie is the place to go. For true romantics, Madang Flowers & Cafe is an absolute must visit. The interior reminds one of a spring picnic with green floors and flowers galore. In the back of the store, florists create detailed and unique flower bouquets and flower decorations that are then sold in the cafe. Watch them make the perfect flower arrangement for your love or have them create a custom bouquet. Continue your journey through Ikseon-dong and you will pass a polished store called Proust in the center of the hanok island. You will know when you have reached it as sweet scents will fill your nose. Inside waiting is a perfume lab ready for you to create your own personal fragrance. Another location not to miss is Kim Jeohyun’s metalware and jewelry studio offering classy pieces with futuristic details. You can purchase anything from sterling silver earrings to KRW 20 million handcrafted desk lamps. 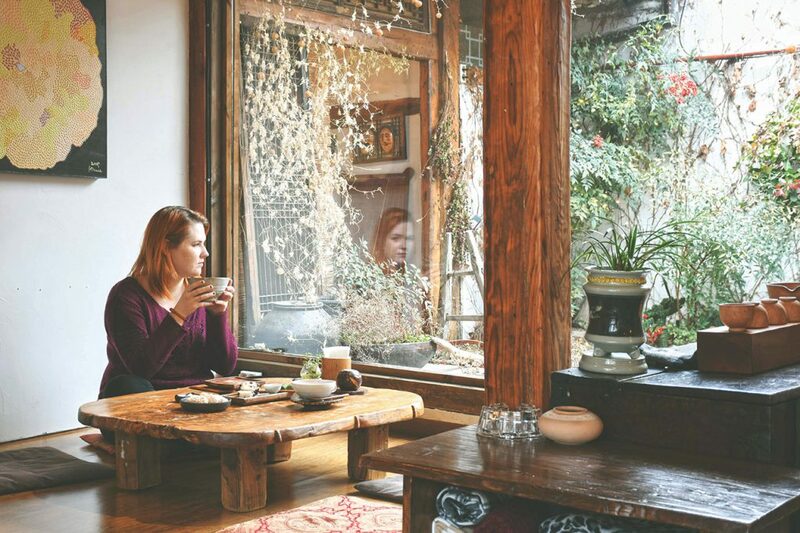 At Graang Gallery Tea & Bar, you can slurp on delicious Western and Asian tea varieties while embracing the warmth of the old hanok building. The modern tea house displays a modern variant of traditional Korean art combined with old stained glass lamps and a shining disco ball. 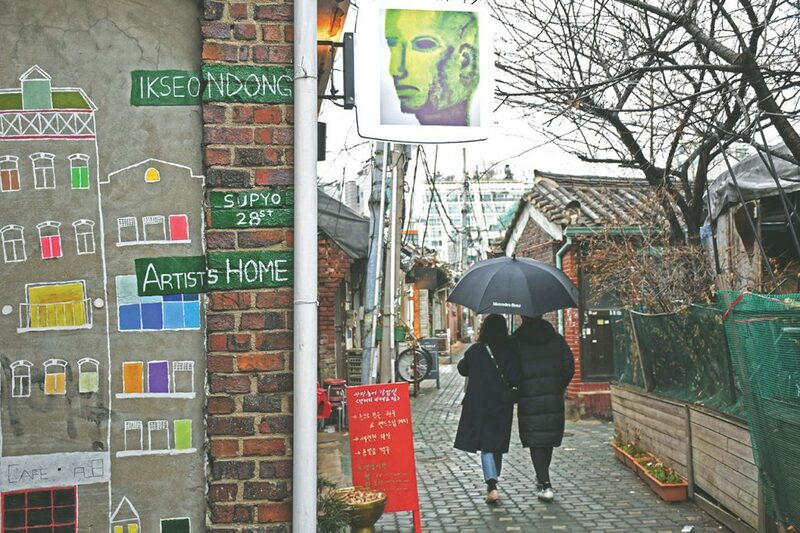 Many fear that Ikseon-dong will fall victim to the same commercialization that Bukchon, Insa-dong, Seochon and so many of Seoul’s once traditional and unique neighborhoods have seen. Its local residents and shop owners are fighting hard to make sure Ikseon-dong remains what it is: quiet, calm and inspiring. Kim Gyeong Min from Amateur Atelier Gallery, Cafe and Pub is very active in protecting the historic area. “I saw the true beauty here. When I saw this place, I signed the contract right away on the same day,” he says. Kim and many other local shop owners are part of a forum trying to preserve Ikseon-dong and what it stands for. At their monthly meetings, they share ideas and put forth plans for how to prevent big chain restaurants and hotels from taking over the area – so far with great success. Nobody knows if and when the big waves will hit Ikseon-dong, but it’s probably best to admire one of Seoul’s last standing hanok islands as long as you still can.